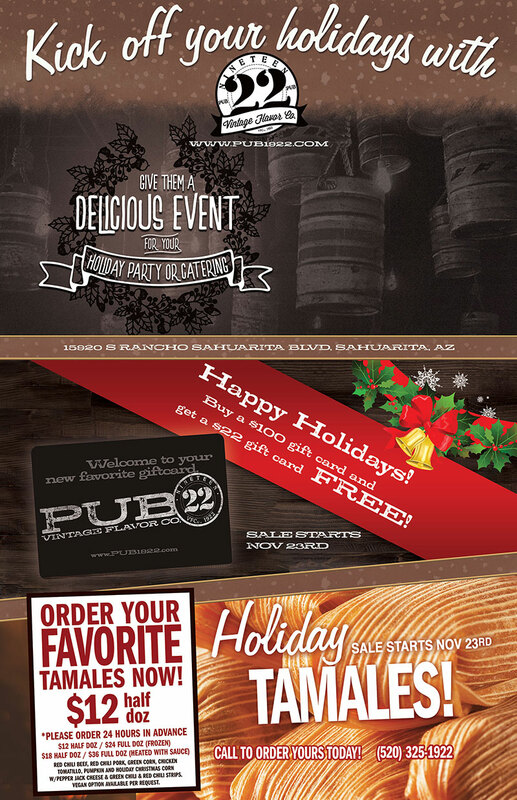 Give them a delicious event for your holiday party or catering! Buy a $100 gift card and get a $22 gift card FREE! Order you favorite tamales now! Red chili beef, red chili pork, green corn, chicken tomatillo, pumpkin and holiday Christmas corn w/pepper jack cheese & green chili & red chili strips. vegan option available per request.